Growing herbs in your garden is a great and easy way to enhance your cooking. A lot of popular garden herbs, however, are native to the Mediterranean. 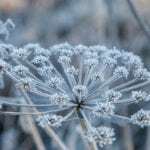 This means that your cold climate herb garden may take a serious hit from frost and snow. Luckily, there are plenty of herbs that can withstand the cold, as well as ways to protect those that can’t. Keep reading for tips on caring for herbs in cool climates. The colder your climate, the more your plants run the risk of not surviving the winter. Some cold hardy herbs (mint, thyme, oregano, sage, and chives) are very well adapted. In areas with frost, they grow as perennials, going dormant in the winter and coming back with new growth in the spring. A few weeks before the first frost of autumn, prune your plants, removing any woody or dead stems and snipping off the upper leaves. This will keep your spring growth in check as well as give you some good material to dry or freeze for the winter – especially if you live in a very cold area, as there is always a chance your herb won’t survive to the spring. If you want, dig your plants up and transfer to containers that can be kept by a sunny window throughout the winter. This will protect your plants and give you fresh herbs for cooking all year long. In fact, year-round container growing is recommended for less winter-hardy herbs. Lavender is actually quite cold hardy, but is often killed off in the winter by too much moisture. 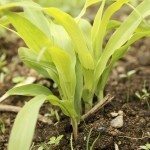 If you want to try overwintering it, plant it in extremely well-drained soil and mulch it heavily in the winter.